There is an adage on Wall Street: “It’s better to be lucky than good.” And if ever there was a banker with luck on his side it’s Sergio Ermotti, the global chief executive of Switzerland’s UBS. Less than six months after he joined the bank to run its European, Middle East and African businesses in April 2011, a rogue trader in UBS’ London office lost $2.3 billion on a series of derivatives trades. The scandal forced the bank’s 67-year-old chief executive, Oswald Grübel, to resign. 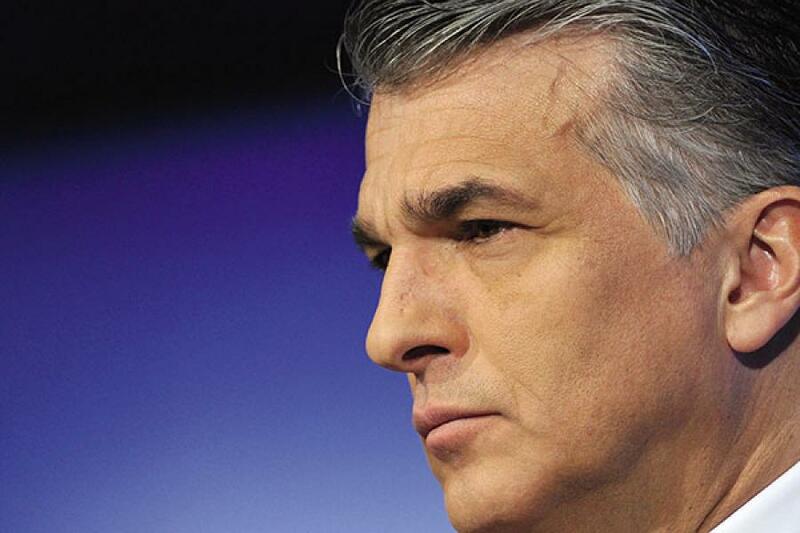 Suddenly, Ermotti was next in line to run the 152-year-old Zurich-based bank. By November he was CEO, and by 2012 he was the highest-paid member of the bank’s executive board. Good timing; great luck. But Ermotti, 53, is also good—very good. He has had a singular focus on banking since age 15 when he took an apprenticeship at Switzerland’s Corner Banca, where young Ermotti learned to sell stocks and trade them. Eventually he got a certificate in Swiss banking and earned a master’s degree in management from Oxford. In 1987 Merrill Lynch hired him, and he spent 16 years climbing Merrill’s ladder in Europe and New York, becoming global equities boss. Charming and likable, with movie star looks, Ermotti parlayed the Merrill experience into the role of deputy group chief executive at Italy’s largest private bank, UniCredit. After being passed over for chief executive he took the job running Europe, Middle East and Africa at UBS. Given the state of global financial services in 2011, one might think that landing atop a European bank was as much a curse as a blessing. The financial crisis left Europe’s banks crippled, and most of them are still busy untangling and deleveraging their balance sheets. But once again Ermotti got lucky. As chance would have it Robert McCann, Ermotti’s former boss and mentor at Merrill Lynch, was busy revamping the Swiss bank’s US operations. 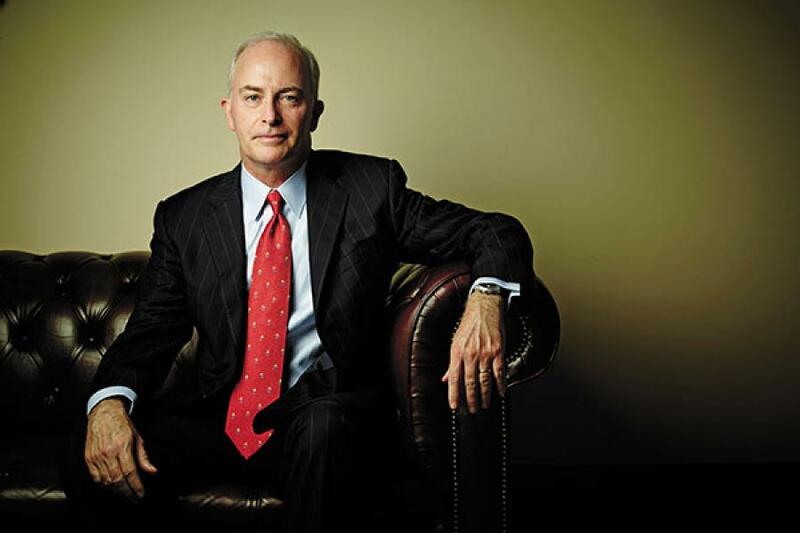 McCann, 55, had spent 26 years at Merrill, first in trading and running its brokerage arm. The two men knew each other well. Back in 1996 it had been McCann who plucked Ermotti out of the obscurity of Merrill’s European operations, brought him to New York and promoted him to head global derivatives trading. Ermotti would work for McCann for the next six years. “He was a good mentor to me,” recalls Ermotti. By the time Ermotti took the top job at UBS, McCann had been building up the bank’s brokerage force for two full years. This stroke of luck meant UBS’ American wealth management business was turning around, giving Ermotti an engine of growth as his team furiously shed risky investment-banking assets. In the last three years UBS’ wealth management operation brought in $137 billion in net new client money. It is the largest private banker in the world, with $1.7 trillion in assets. In 2013 it is expected to earn $3.8 billion on revenues of $31.6 billion. And it’s a strong bank: In terms of Basel III’s stringent capital requirements UBS has already surpassed its target and now has a common equity tier one ratio of 11.9 percent. At the same time McCann and his non-US counterpart Jurg Zeltner were expanding the wealth management business, the bank was going through a massive downsizing. In 2012 UBS announced it would fire 10,000 employees in investment banking, and has culled more than $300 billion in risky assets from its balance sheet. 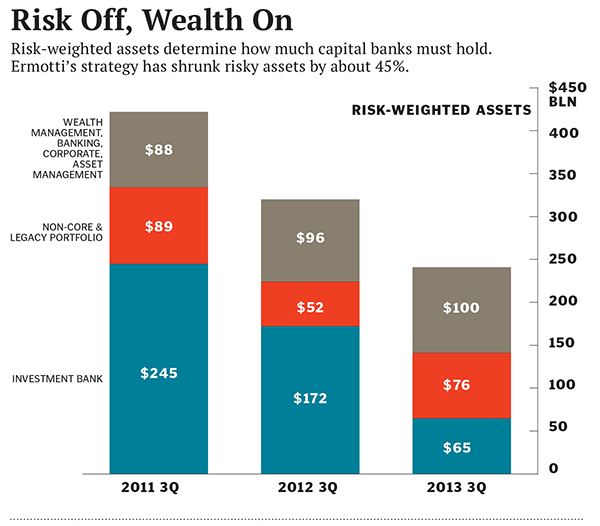 “Many said it was impossible to shrink the bank to greatness, but now we have silenced our critics,” says Ermotti, describing the bank’s strategy as centred on wealth management, yet “complemented by a focused and less capital intensive investment bank.” Ermotti the trader is executing perhaps the smartest trade in financial services today, reducing exposure to capital-intensive and regulatory-heavy businesses like trading and investment banking, and moving quickly into less risky businesses that provide smaller but steadier streams of income. The math is simple: Shares of BlackRock, the world’s largest asset manager, sell at a trailing P/E multiple of 20 while the world’s preeminent investment bank, Goldman Sachs, has a P/E of 11. BlackRock’s shares are up nearly 500 percent in the last decade, Goldman’s are up 79 percent, but large, diversified banks like UBS and Bank of America have seen their shares fall about 50 percent. A decade ago UBS was neck and neck with Germany’s Deutsche Bank, ranking third among global banks in terms of balance sheet assets, with $850 billion. Citigroup and Japan’s Mizuho ranked first and second, with about $1 trillion in assets each. Today UBS’ $1.2 trillion in bank assets doesn’t even put it in the top 20. Industrial & Commercial Bank of China ranks first with $3 trillion in assets, and Deutsche Bank ranks eighth with $2.4 trillion. But size is largely irrelevant: The real battle is to control the world’s $135 trillion in private wealth—a number that is set to take off as China and other developing economies grow rich. Of course, the former Union Bank of Switzerland has long been a major player in private banking, also known as wealth management. In fact, most of the firm’s client assets outside of the US still come from its stronghold in Europe, currently run by Zeltner, 46. When McCann arrived at UBS in 2009 as CEO of Wealth Management Americas, UBS was bleeding advisors and assets. In three years the broker head count dropped from 8,248 to 6,796, and $32 billion in client assets fled. The division mounted losses of nearly $900 million. Even worse were the constant blows to the bank’s reputation, which scared away customers and employees. In 2008 UBS had a run-in with the feds for a tax-evasion scheme. The bank was forced to pay $780 million and admit that its advisors committed tax fraud by helping their American clients hide money overseas. Like Merrill, UBS was waist-deep in subprime debt and was required to repurchase $22 billion in auction-rate securities that had blown up during the credit crunch. Then came the rogue-trader incident, and in 2012 the bank was nabbed in a global conspiracy to rig interest rates. For that bit of malfeasance UBS paid a record $1.5 billion fine for a single count of wire fraud. Most recently, it is facing lawsuits after its brokers were revealed to be some of the biggest peddlers of overleveraged Puerto Rican municipal bond funds. Former Merrill lifer McCann knows all too well how important reputation is in the money business. His stellar 26-year career at Merrill Lynch was capped by a shotgun marriage to Bank of America in 2009. It was heartbreaking for McCann, who rose from a trainee in 1982 to star trader to vice chairman of the company. “I had been committed to Merrill Lynch, and Merrill Lynch didn’t exist anymore,” he says, in his office at UBS’ Manhattan building. McCann took eight months off. He did some soul searching, played golf and took a film class with his wife at New York University. When Grübel came calling from Switzerland to ask him to fix UBS’ operations in the US, it was a lifeline for the workaholic banker. McCann’s first move was to re-assemble his A-team of old Merrill Lynch buddies, including Merrill’s key private-client execs, Robert Mulholland and Brian Hull; marketing head Paula Polito; its general counsel, Rosemary Berkery; and the former global securities lending chief, John Brown. To get the rank and file to buy in and thereby avoid “mini-Merrill” criticism, he elevated several UBS executives, and retained Tom Naratil, who was CFO of the Americas. When the team arrived broker mo-rale was terrible, partly because of the bad press but also because the advisors felt the home office in Switzerland was both ignoring them and burdening them with crappy products. One example: A UBS credit card that was foisted on brokers and their clients in 2005. The Visa card sported such stringent antifraud restrictions that it declined payment as much as 50 percent of the time, according to Berkery, who now heads up UBS Bank USA. One of UBS’ own advisors warned Berkery not to use the card. “That’s a bad sign,” she says. Within a month of McCann’s arrival he decided to fly in UBS’ top 270 advisors for a dinner at New York City’s Gotham Hall. In his postprandial speech he pledged to spend his first 100 days listening to their problems, fixing them as quickly as possible and figuring out a new strategy. And, indeed, for the next three months McCann and his pals from Merrill— known internally as the “renewal” team—spent their days on the phone with their brokers, hearing their problems and fixing the ones they could easily address, so-called “Quick Wins”. Some 400 changes were made under Quick Wins. The paranoid credit card was terminated, approval of marketing material was moved down the ranks and the limit for fast credit line approvals for high-net-worth clients was lifted from $4 million to $5 million. The renewal team also created a financial-advisor council that relayed advisor’s gripes directly to McCann. Martin Halbfinger, an advisor with $3 billion in assets, was one of the first to head the council. The rule was that complaints would be responded to within one day. “There used to be a black hole to which we’d funnel our complaints, but suddenly we were all amazed how that turned around,” Halbfinger says. “People couldn’t believe it when I responded to their e-mails or calls about problems. Some of them hung up on me, thinking it was a goof,” McCann recalls. Ninety-nine days after the Gotham Hall meeting McCann’s team presented its strategy: A strict focus on high- and ultra-high-net-worth clients in the 25 largest American cities. They would be client-oriented and focused on financial advice. “It was incredibly important that the message was clear,” says McCann. Another thing would become clear. McCann wouldn’t tolerate slackers. Anyone generating less than $250,000 in fees and commission annually saw their pay reduced. McCann recently upped the threshold to $325,000. He also went after institutional bloat. McCann began shutting down some branches, consolidating others and eliminating layers of management, including 25 managing directors. Nonfinancial advisor employees were reduced from 11,200 in early 2009 to 9,191 in 2013. The unit’s cost-to-income ratio has dropped to 87 percent from nearly 100 percent in 2009. In an effort to jump-start asset inflows, McCann recruited top advisors with big sign-on bonuses. In 2012 UBS spent $679 million bringing in new brokers. “That’s 10 percent of the annual net income of McCann’s unit. It shows you how much emphasis McCann is putting on the right producers,” says Alois Pirker, an analyst at Boston-based Aite Group. It’s working. In just the US net inflows amounted to $36 billion in the last two years, and in 2012 McCann’s division posted a record pretax profit of $873 million, up 40 percent. Results should be even better in 2013. Attrition has been stanched, dropping from 15.3 percent in 2009 to 2.2 percent in 2013. McCann’s success has been rewarded. He’s on UBS’ global executive board and is the second-highest-paid executive at the bank, earning $9.4 million last year, just behind Ermotti. He doesn’t just run UBS’ brokerage force in the Americas; Ermotti put him in charge of its US investment-banking and asset-management business. Still, no one thinks a Pittsburgh native like McCann, who is two years older than Ermotti, has any chance of nabbing the top job at the giant Swiss bank. And given how much UBS has riding on wealth management and keeping its American growth engine chugging, Ermotti needs to keep finding new ways to keep his lucky charm happy.